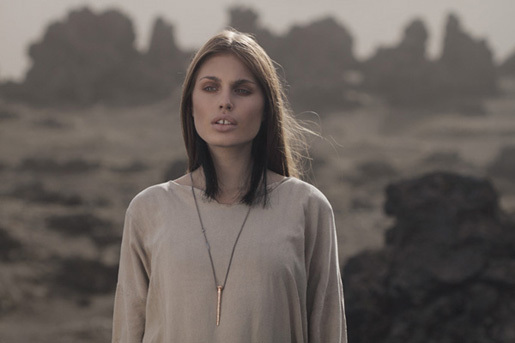 Bjørg Jewellery in Norway has released “Heresy”, a short film portraying a disturbing scene of a woman being burned at the stake. Death by burning was practiced in Norway was practiced in the 16th and 17th centuries, focused largely on women suspected of witchcraft. The Heresy film is the third in a series of annual short films directed by Norwegian filmmakers Matias and Mathias. 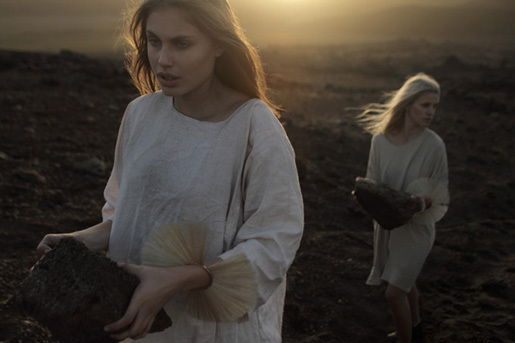 The film is associated with “Not all who wander are lost”, a print advertising campaign promoting Bjorg’s latest collection. 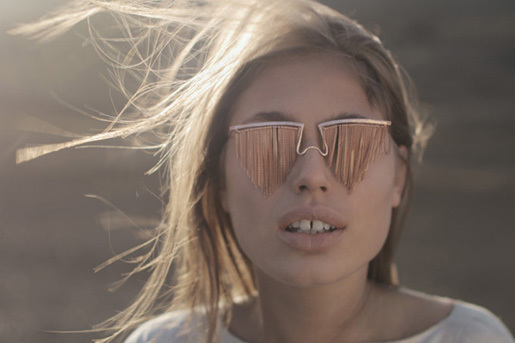 “Not all those who wonder are lost” is the collection created by the Bjørg jewelry brand for the coming season. 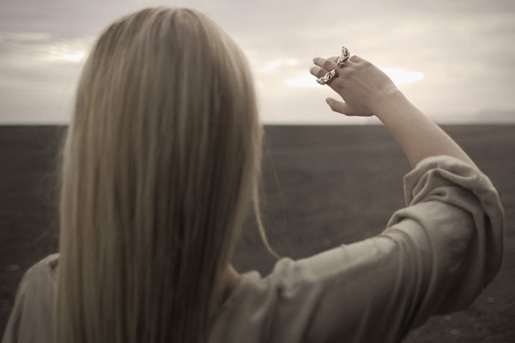 With a dreamlike lookbook, Bjørg present a range of jewelry made of bronze, gold, silver and other natural materials like crystals, horse hair and feathers. 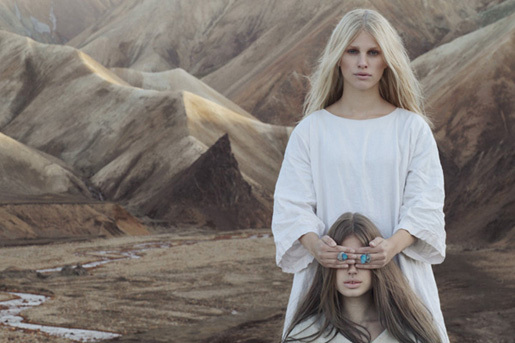 In an arid, desertlike setting, two models pose wearing pieces from the collection. All of the rings, bracelets, necklaces and earrings are original and unique. 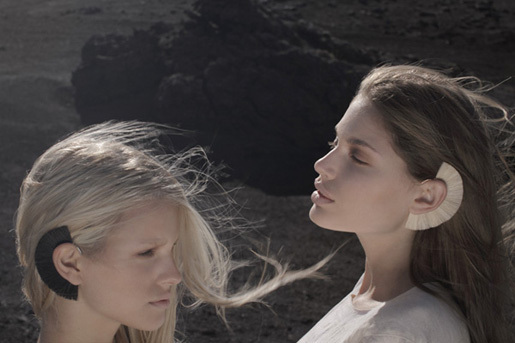 The Norwegian brand sweeps us away to a romantic, mythological place with fragile, organic structures that are striking and futuristic looking. 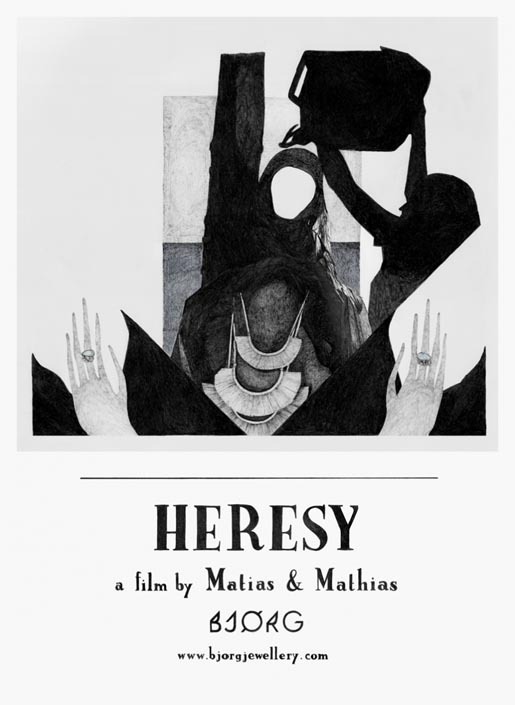 “Heresy” was shot by directors Matias & Mathias, with actors Maja and Julie, hair and makeup artist Tina Kristoffersen. Music was by Gradualekór Langholtkirkju (Jón Stefánsson). The poster was illustrated by Jan Håkon Robson.